Like Simplicity, Simplifix is designed to be easy to use and difficult to get wrong. The one-click attachment houses four independent sensors that only show green when all four are correctly activated, guaranteeing a safe and secure fit. For extra safety, the easily-adjusted front leg features an additional green indicator to show contact with the floor. The Simplifix base sits in your car, safely anchored to the isofix points, and your Simplicity car seat simply clicks on and off in one easy movement. It’s then ready to be clicked on to your Wayfarer, Surf or Pioneer chassis with the Simplicity adaptors (which come supplied as standard with your new Surf, Wayfarer or Pioneer pram system). Isofix is the international system for attachment points for child safety seats in cars. It provides an alternative to securing the seat using seat belts by anchoring with two isofix attachments on the base. The Simplifix isofix car seat base is compatible with the Simplicity group 0 baby car seat and infant carrier. It uses the isofix infant car seat attachment system to ensure your baby stays safe and secure in your car whilst in motion. The Simplicity baby car seat attaches with one click to the isofix base, and is removed from the base with a simple paddle lever. The Simplifix isofix car seat base employs indicators to ensure the base and the infant car seat is installed correctly. 2 indicators show green on the car seat base leg when it is contact with the car floor and the height of the base is set correctly. And 2 indicators show green when the Simplicity baby car seat is attached properly to the car seat base. 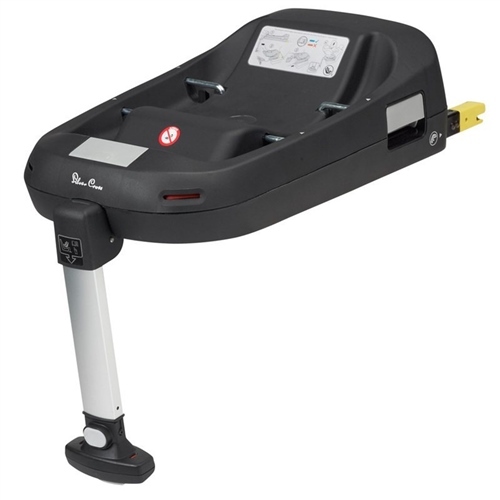 Before purchasing this base, please consult the vehicle application list for approved vehicles to ensure your vehicle has ISOFIX anchoring points before purchase. Everything arrived on time and was so well packed. I and the family were very impressed. It's a while until I use it but i cannot wait. Child seat fits easily onto chair. Feels very secure. Samuel Johnston was the only place I could find this whilst the other companies were out of stock. I have not opened and used the product yet this is awaiting installation in my car however from friends who have the same it is an excellent isofix and good value.